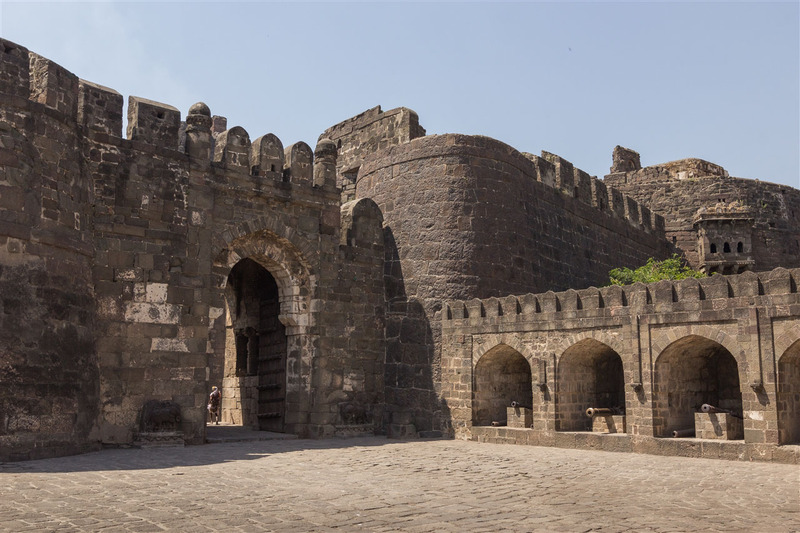 Devagiri Fort, later known as Daulatabad Fort, lies 11km north-west of Aurangabad and is only 16km away from the famous Ellora Caves. The two could be combined with an early start, although it would make for an extremely tiring day. 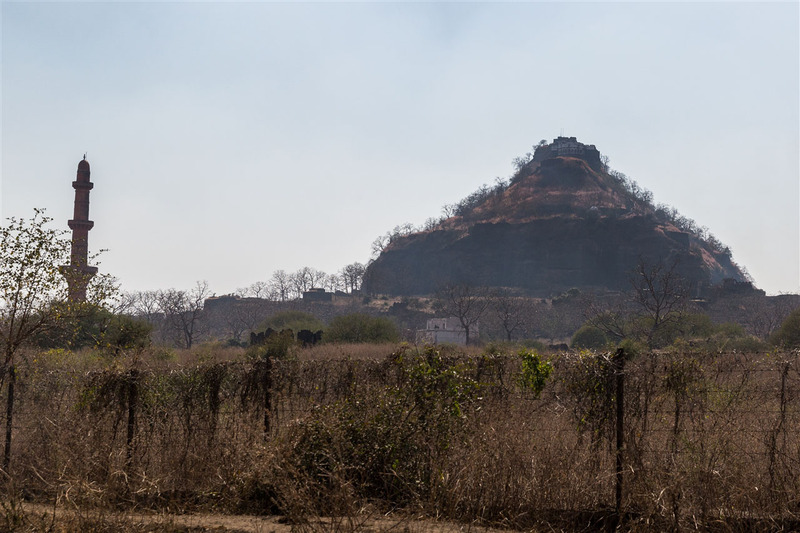 The fort is situated on an isolated cone shaped hill which rises abruptly from the plains to a height of 190m. The fortification is quite extensive, with three concentric lines of defensive walls with a large number of bastions. The outer wall is nearly three miles in circumference, from the summit of the fort you can just about trace it as it meanders across the plains down below. One of the noteworthy features of the fort are the subterranean passages that you will need to negotiate in order to each the summit of the fort. 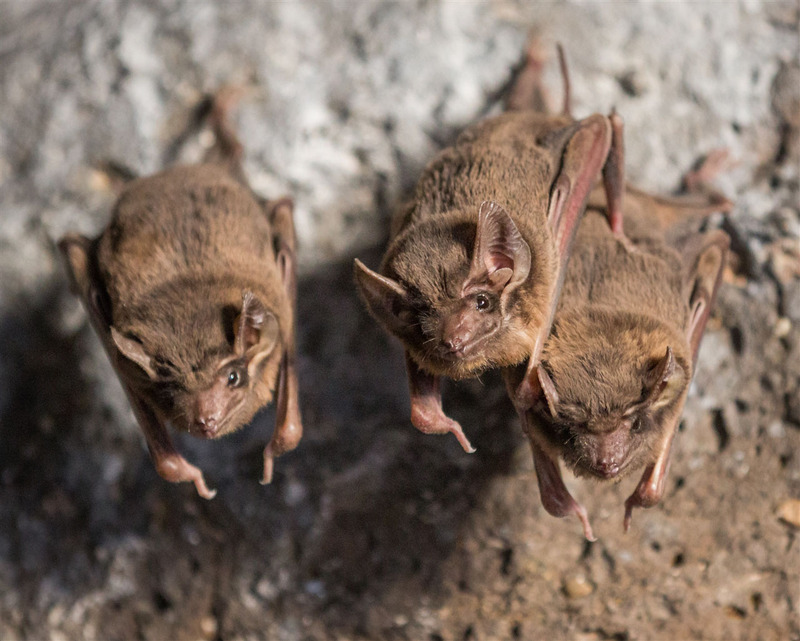 It’s well worth making the effort to do so, but if you have any problem with encountering bats you might want to think again. 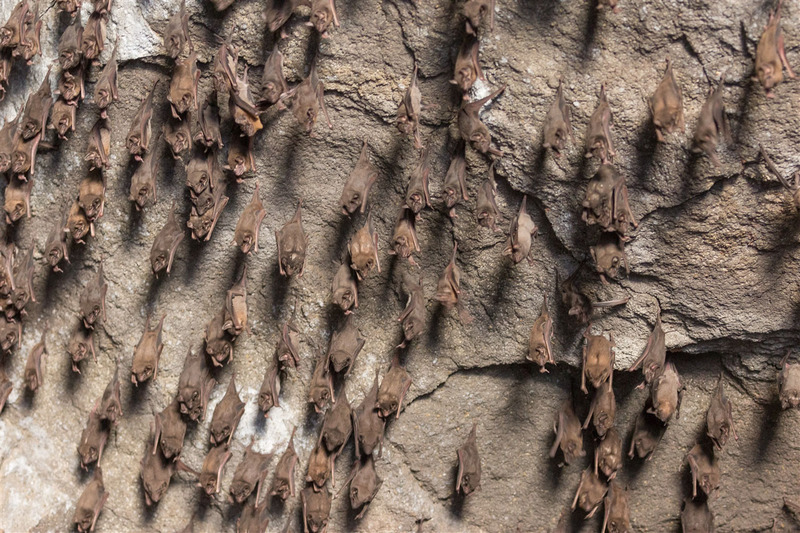 They’re not a problem during daylight hours, they just want to hang out in groups waiting for the feeding frenzy at dusk. 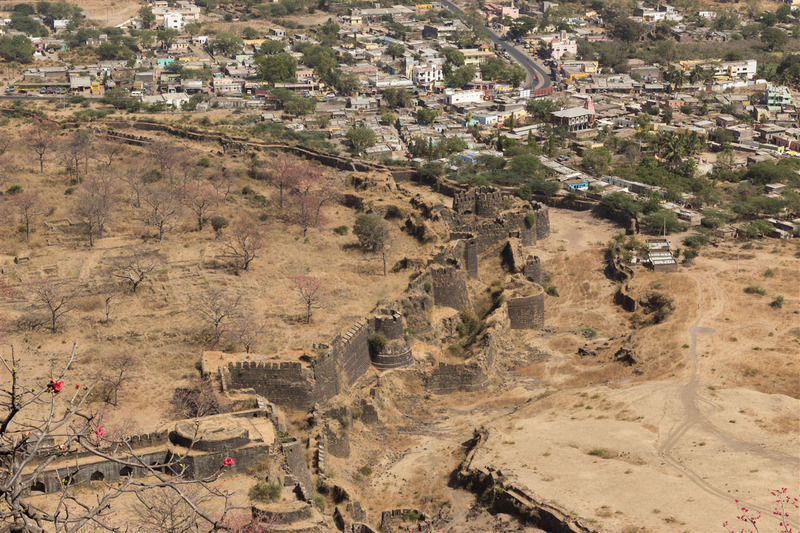 Remains of Buddhist temples near the summit suggest the site of the fort has been occupied since around 100 B.C. Construction of the fort you can see today was started by the Yadava kings through the 12th century. 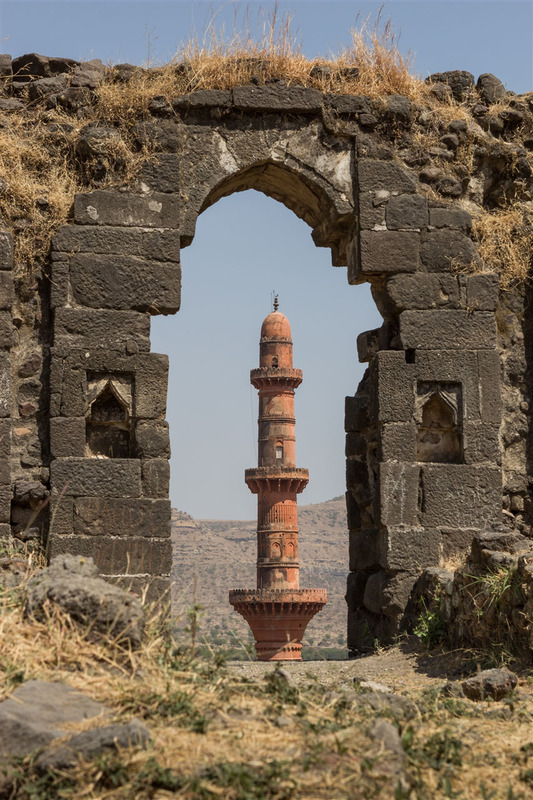 In 1328, Devagiri was renamed Daulatabad (the “City of Fortune”) by the Delhi Sultan Mohammed Tughlaq. Amazingly, he decided to shift his entire kingdom’s capital to this citadel from Delhi, and ordered a forced mass migration of Delhi’s population to march 1,100km south to populate it. Those who refused to migrate were killed. 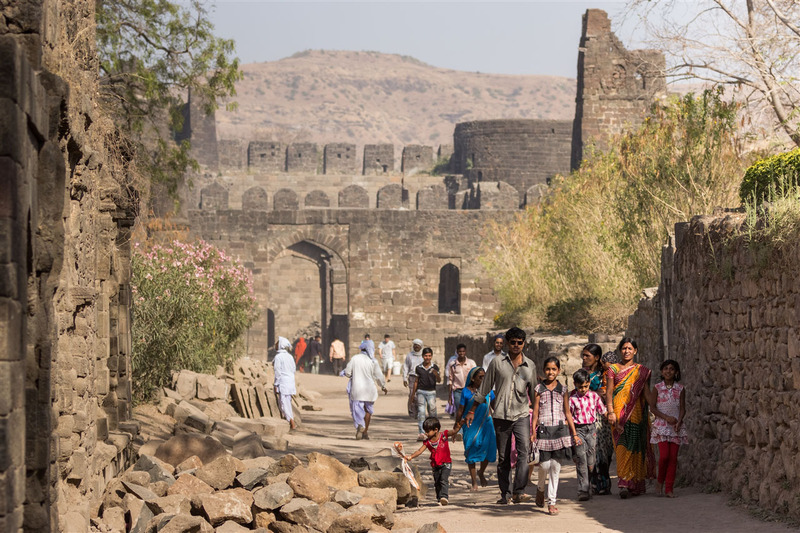 It is said one blind person who failed to move to Daulatabad was dragged for the entire journey of 40 days. 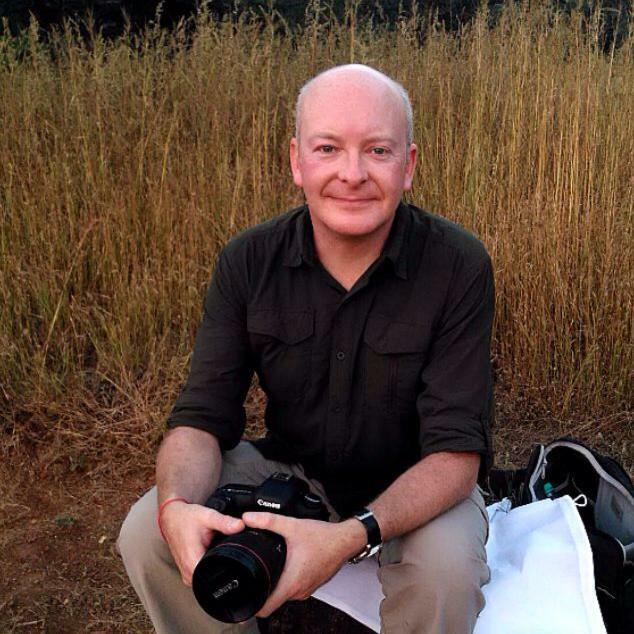 The man died, his body fell apart, and only his tied leg reached Daulatabad. 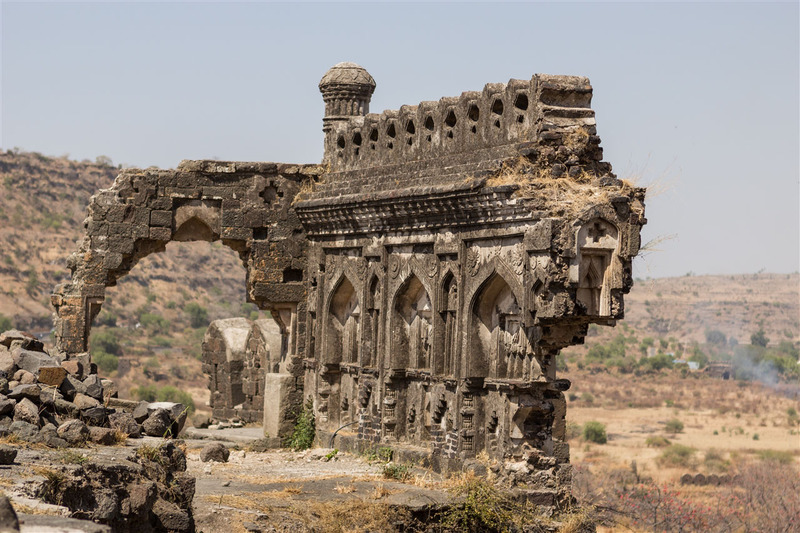 This eccentric decision by Tughlaq to move the capital ultimately failed, Daulatabad was arid and did not have enough drinking water to support the new population. 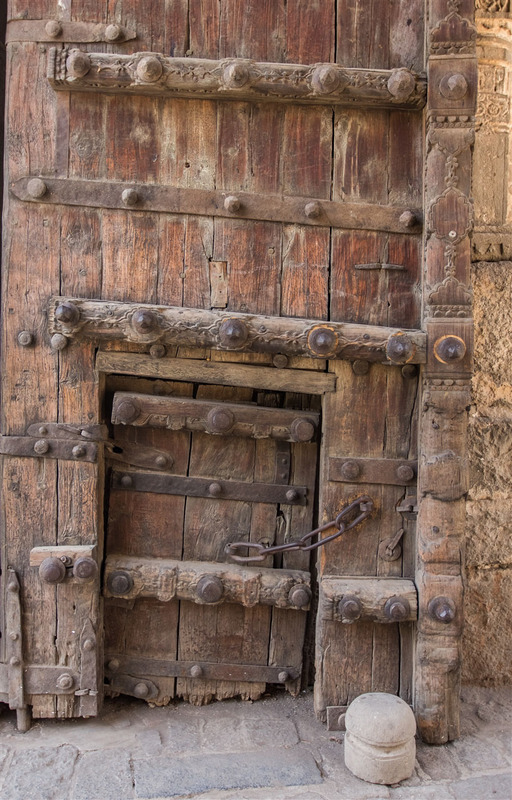 Tughlaq then forced the weary inhabitants to retreat all the way back to Delhi, which had by then been reduced to nothing but a ghost town. Besides the fortifications Devagiri contains several notable monuments, the main ones being the Chand Minar and the Chini Mahal. 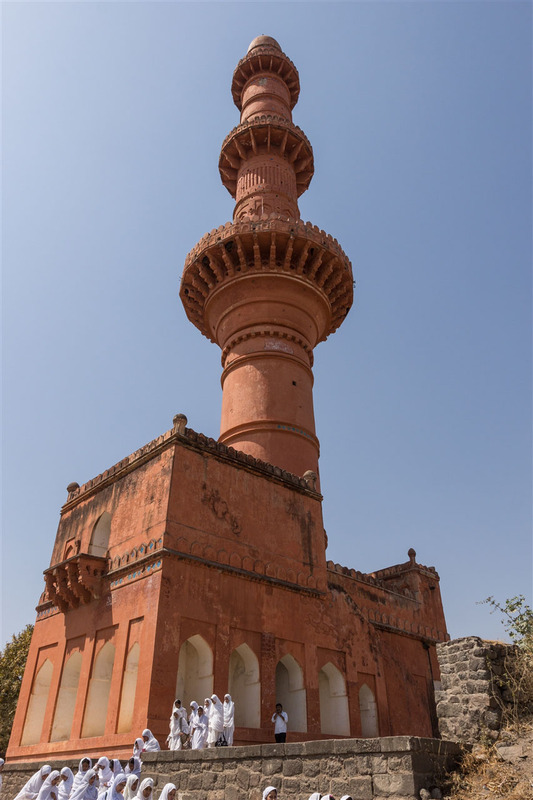 The Chand Minar is a tower 64m high and 21m in circumference at the base, and was originally covered with beautiful Persian glazed tiles. 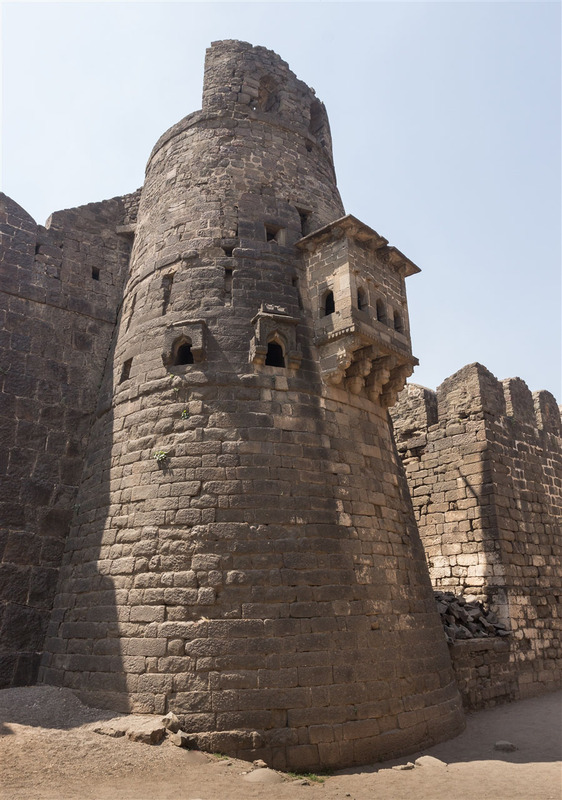 It was erected in 1445 by Ala-ud-din Bahmani to commemorate his capture of the fort. The Chini Mahal, or China Palace, is where Abul Hasan Tana Shah, the last of the Qutb Shahi kings of Golconda, was imprisoned by Aurangzeb in 1687. 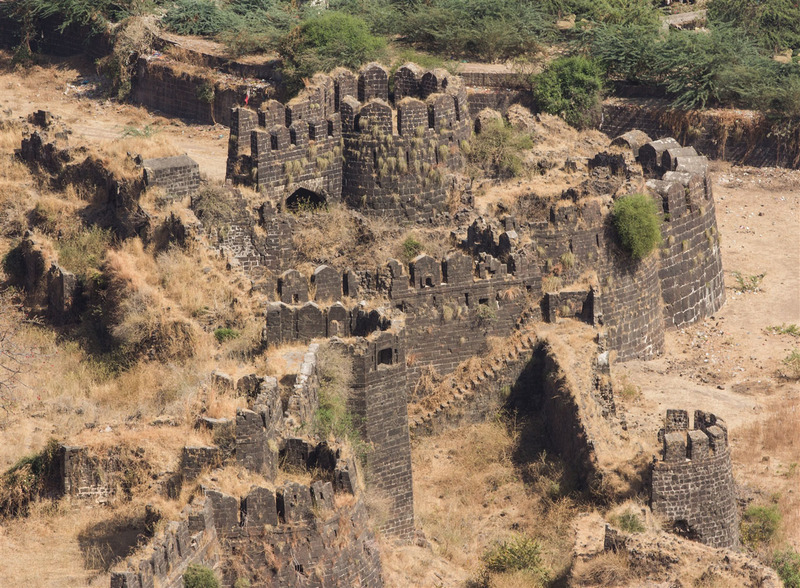 You should set aside a good three hours to walk up to the summit of the fort and have time to explore a little. It’s quite a strenuous place to visit, involving climbing several hundred steps, so make sure you have plenty of water. A tourch would also be useful for negotiating those tunnels (and bats!). 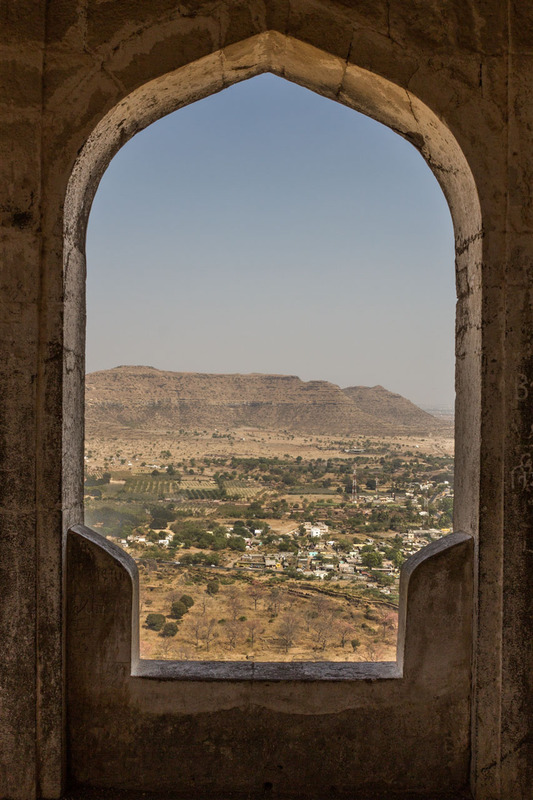 Devagiri / Daulatabad Fort is open sunrise to sunset. Hey, once again your pictures take me back in time. 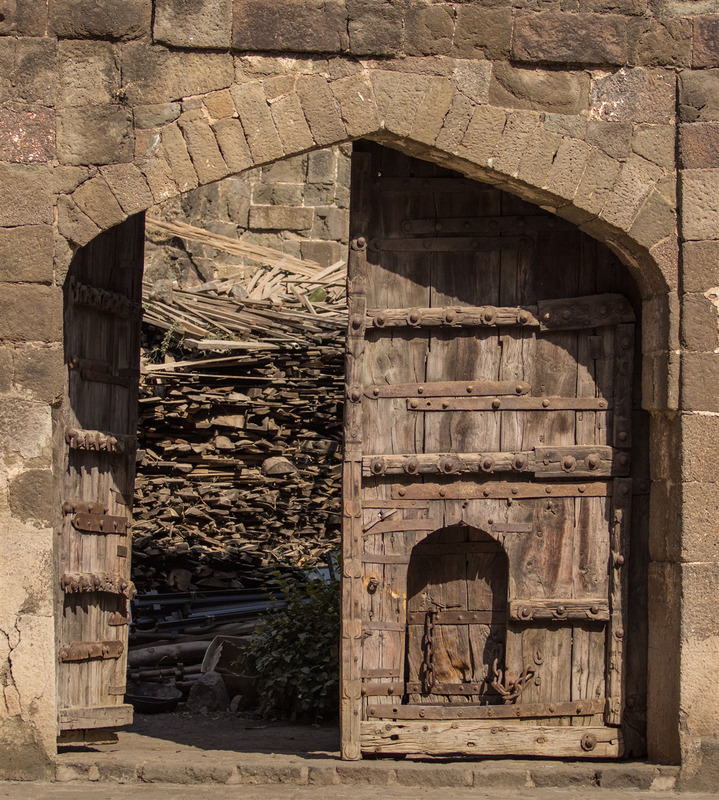 I visited this fort with my parents when I was a child. 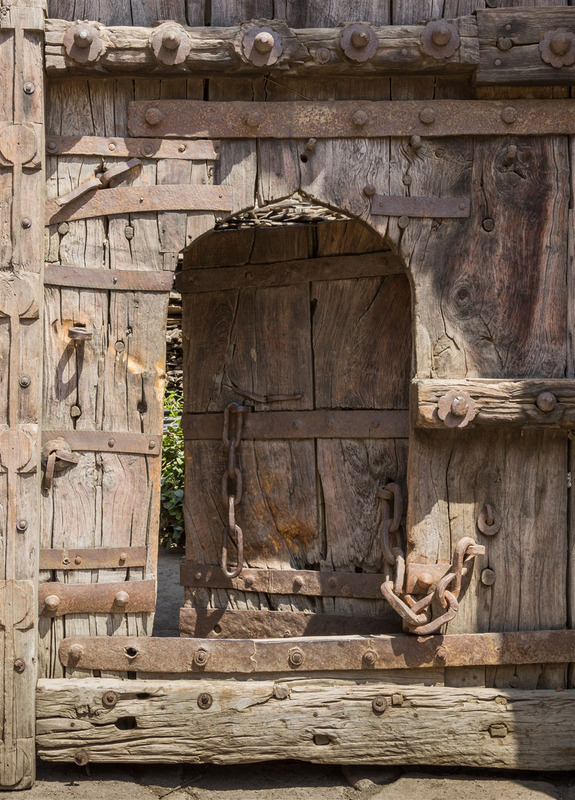 Once of my earliest memories are of the fort. Thank you for sharing, hope you are loving your stay here. Thanks, this is actually from 3 years ago although I was driven past only a couple of months ago. Great to have somewhere like Ellora close by as well !